Polish paratroopers were the first units to receive Tantal rifles—and the first to turn them in when politics rendered them obsolete. 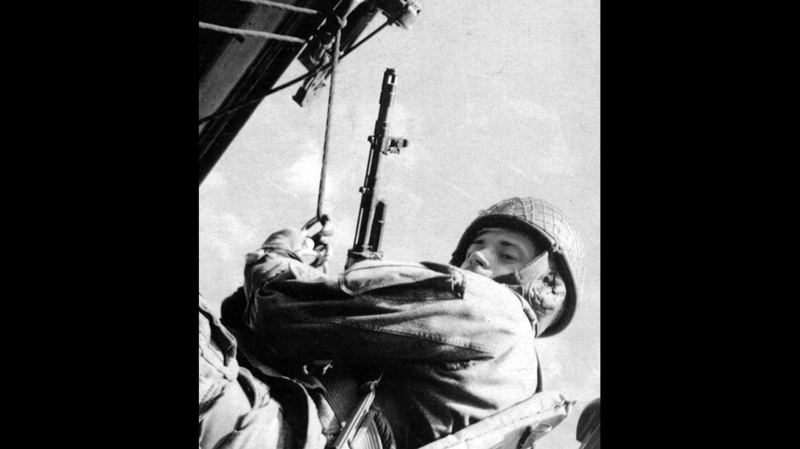 A Polish paratrooper with a Tantal rifle prepares to fast-rope from an Mi-8 Hip transport helicopter during training maneuvers. The Tantal’s long muzzle device was part compensator, part muzzle brake and part rifle grenade spigot. 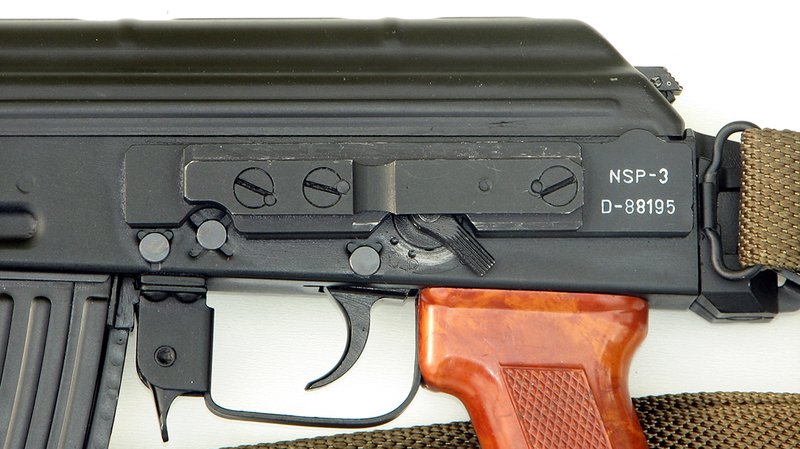 The rear sight base lacks the AK’s gas tube latch, which was relocated to the handguard. The raised ring on the muzzle device shaft secured a rifle grenade’s tail from slipping. 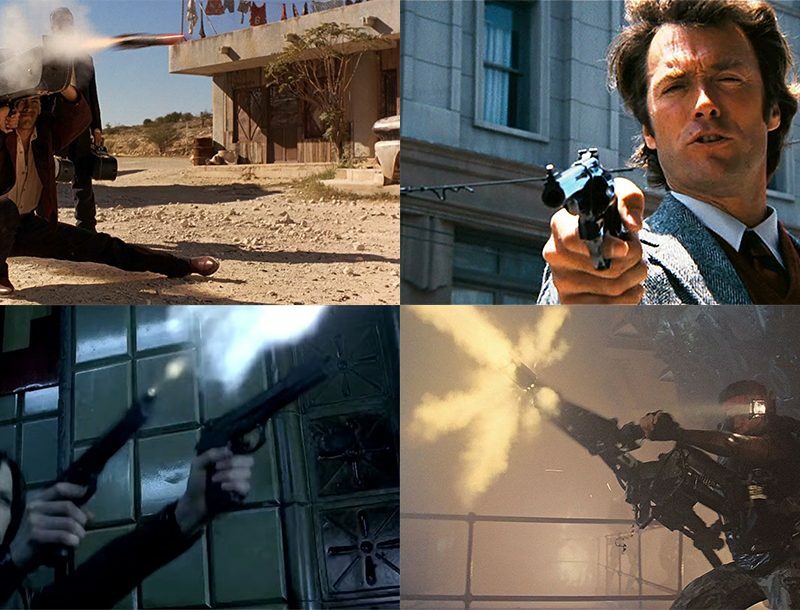 Unique to the Tantal is a separate fire selector, located on the left side of the receiver. Like this solder’s battle dress, the Polish Tantal is now a relic. 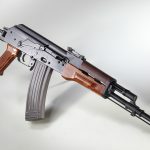 In the mid-1970s, the Soviets finally introduced the next generation of the Kalashnikov rifle and light machine gun based upon the AK-74 rifle—a thoroughly modified AKM chambered for the new 5.45x39mm caliber. Soon, Poland and the other Warsaw Pact states started to prepare for the inevitable introduction of the new standard. 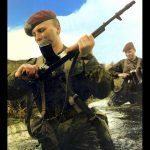 However, when they inquired about the license rights, the price tag and export limitations proved so outrageous that a decision was quickly made: The future Polish soldier would wield a similar, but not necessarily the same, rifle. In order to achieve that goal, Polish designers undertook an ambitious task: To build a rifle that was identical to the AK-74 but at the same time completely different. 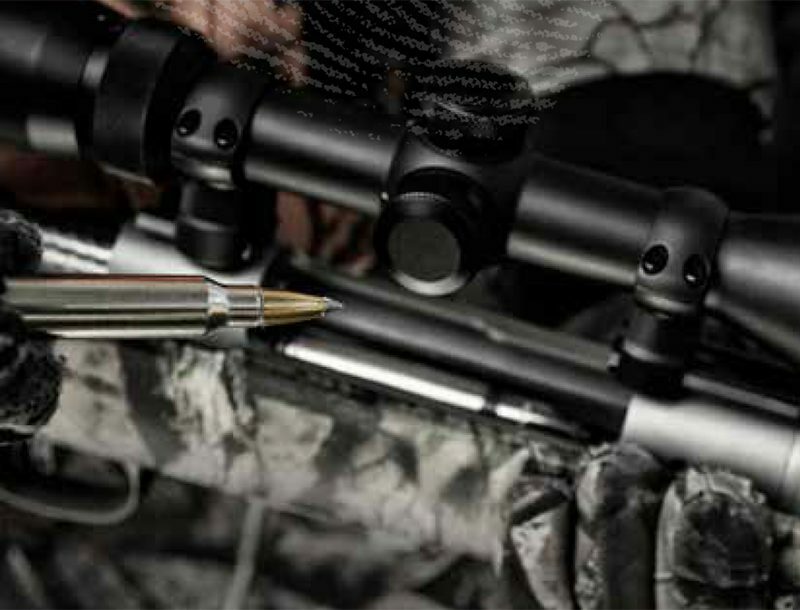 Poland took the bumpy road ahead by deciding to produce its own new rifle. 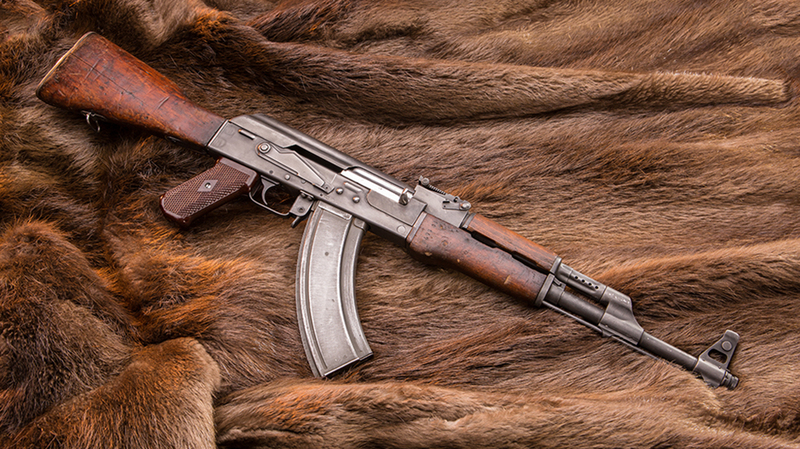 The rifle was an indigenous circumvention of the Soviet AK-74. The Polish 5.45mm rifle program was codenamed Project Tantal. Initial studies were undertaken at the renowned Radom factory’s research center as early as the spring of 1980. 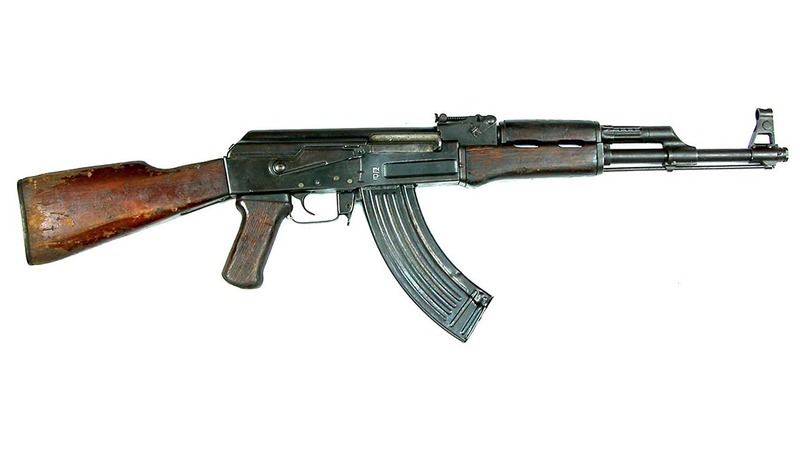 The receiver of the AKM was modernized only out of necessity. The ejector was extended to reach the much narrower case head. 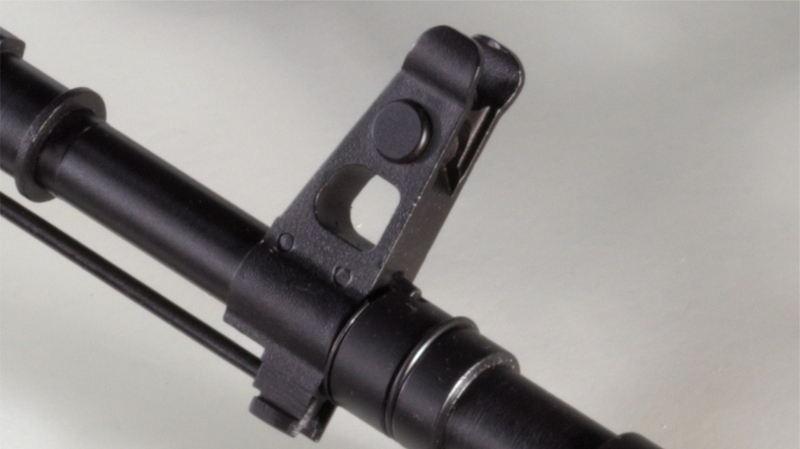 A new rear sight base was necessitated by the redesigned gas tube and upper handguard. This eliminated the previous gas tube latch on the side of the sight base. The new latch was fitted to the opposite end of the gas tube, onto the handguard ring. The moving parts consisted of the lightening-cut AKM bolt carrier and a modified AKM bolt with a smaller-diameter bolt face and an open-sided (AK-74 style) extractor cutout. 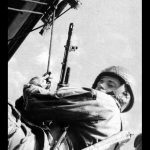 The brass hats envisioned fitting each of the new rifles with a rifle grenade capability, with a new generation of bullet-trap rifle grenades. At the same time, the new rifle was to be fitted with a folding stock only. This meant that the twin-strut underfolder stock of the AKMS had to go; it was all too easily damaged by the hefty recoil of the grenade discharge. A new, more durable, inline-strutted stock was needed. It was soon to be nicknamed “pogrzebacz” (ash poker) by the Polish troops. 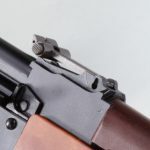 The handguard and gas tube retention ring, as well as the upper handguard and gas tube itself, were a significant departure from both the AKM and AK-74. 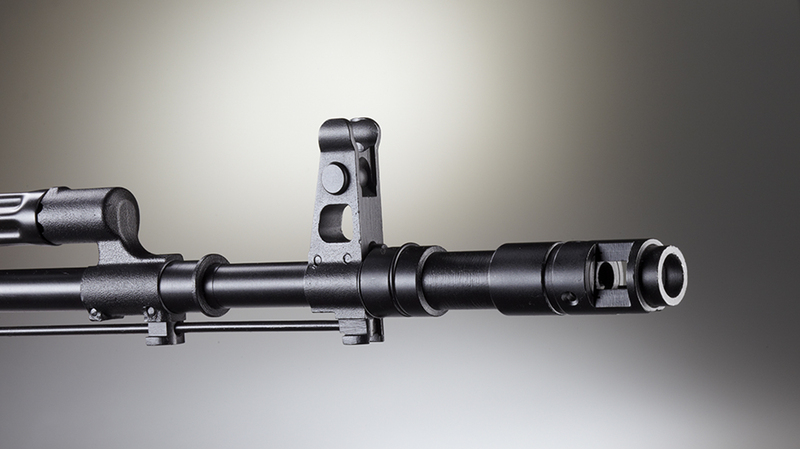 The retaining ring latch is a cross-bolt with a cutout that rotates in a perpendicular groove on top of the barrel. 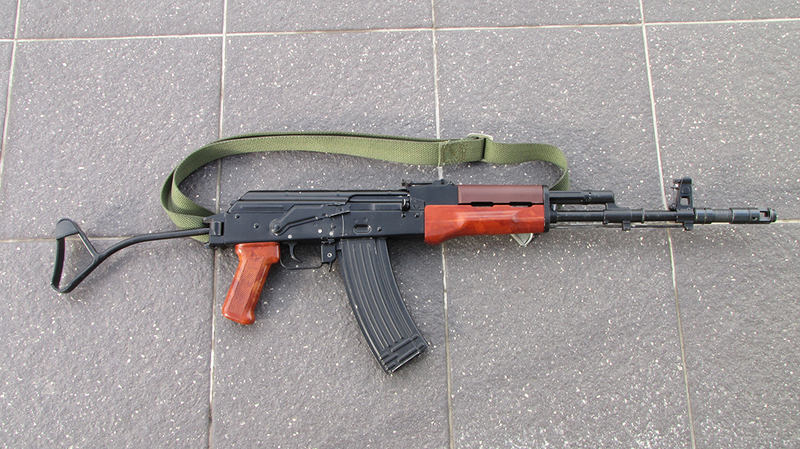 Unlike the AK, the Tantal’s upper handguard is not fixed to the gas tube. The gas tube is a separate part that’s wedged between the gas chamber flange and the rear sight base. It is then topped with a plastic upper handguard. Both are held in place by the handguard retainer ring. 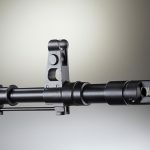 This unusual feature’s sole purpose was to enable the lower handguard to be dismounted without the need to field-strip the rifle. This was required to attach the underbarrel wz.74 Pallad 40mm grenade launcher, via its special mounting jig, replacing the regular lower handguard. 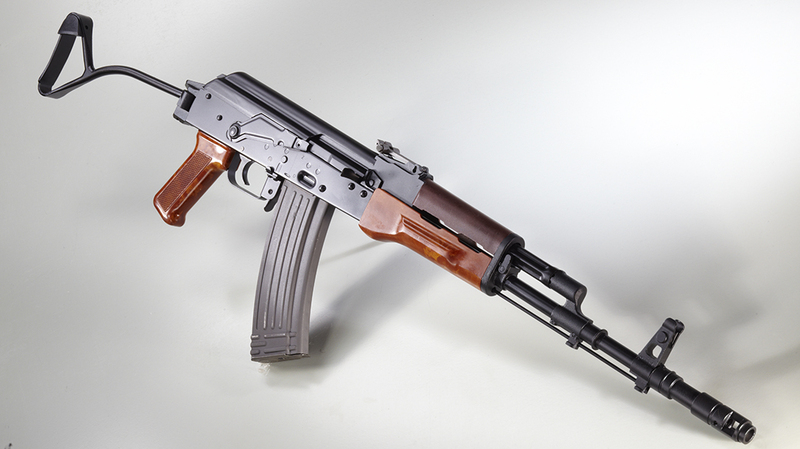 The new rifle differed from the original AKM in having fire-selector and safety functions entirely separated. 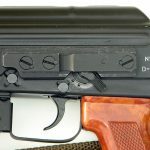 There was a safety lever on the right side of the receiver that looked just like the original safety/selector, but now with only the two extreme positions—“Z” for zabezpieczony or “safe” and “O” for odbezpieczony or “fire”—instead of the original three (which included “C” for ciagły or fully-automatic and “P” for pojedynczy or semi-automatic). 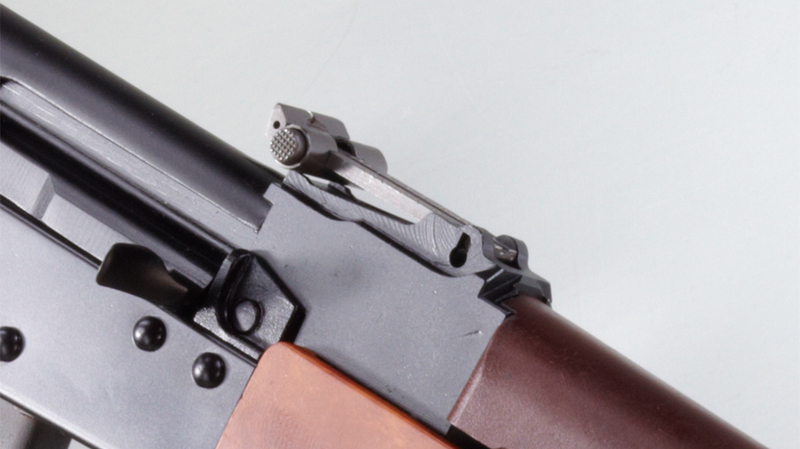 The selector was also now a separate knob (in series production rifles replaced by a lever) added on the left side. It had three positions: “C,” “S” (for seria or burst) and “P,” set in counterclockwise order. 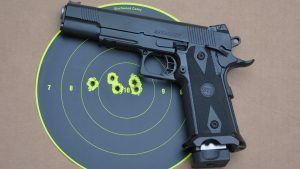 Unlike the U.S.-made three-round burst mechanism, upon releasing the trigger, the Tantal’s limiter always resets itself, no matter how many rounds of the three-round burst are actually fired. After Skarzysko-Kamienna’s Works 21 ammunition plant (a.k.a. Mesko) finally mastered the tricks of the 5.45x39mm ammunition in 1983, the Ministry of National Defense’s Office of the Chief of Military Technology R&D ordered in 1984 the “5.45mm automatic carbine” to be developed. The initial batch sent out for testing in 1986 failed terribly. 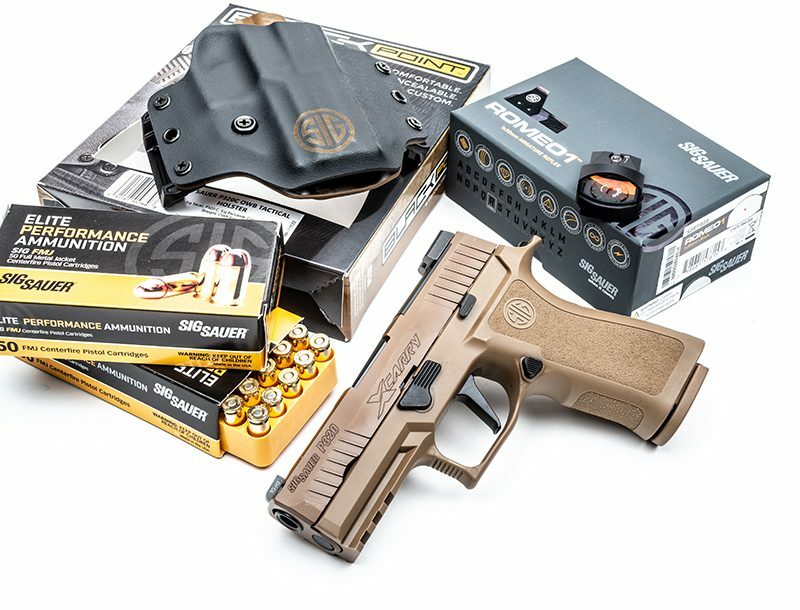 This means it missed its chance to be introduced into the inventory of the Polish army. Two new prototype Tantalus were tested in late 1987. 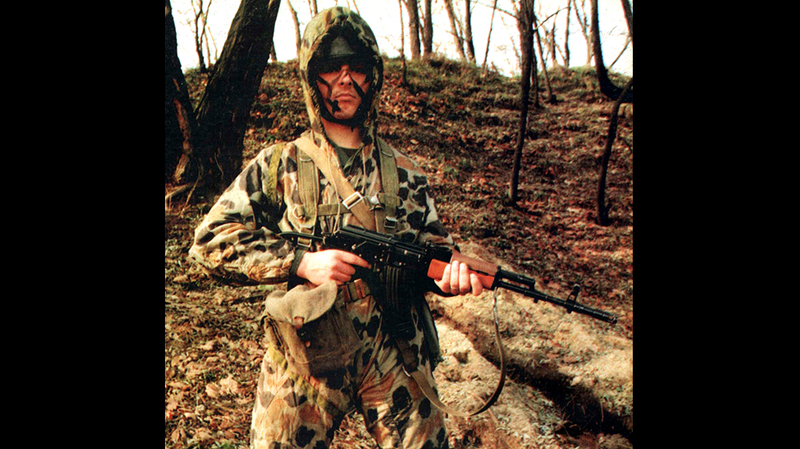 They had completely new AK-74-compatible bolt carriers, bolts and magazines. They were also shortened to match the AKMS’ length. Roughly 15,000 rounds (Polish RS ball and Soviet 7N6 tracer) were pumped through one test model. Over 20,000 were also put through the other, until major parts breakage occurred. The improved rifles were again tested early in 1989 and finally found compliant. Thus, the troop-testing batch could have been ordered in 1990. 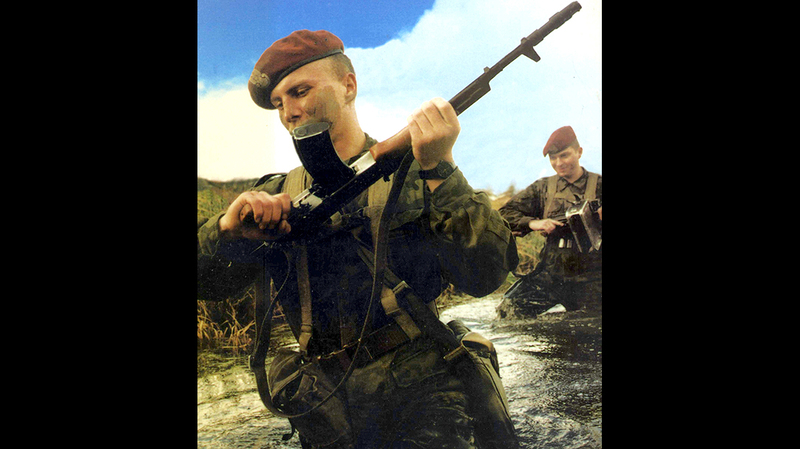 In 1991 the 5.45mm rifle came into series production and was issued as the “5,45 mm karabinek wzór 1988 (kbk wz.88),” thus officially dropping the R&D-phase codename of Tantal, even though it also persevered as the rifle’s nickname. Just as the Tantal was finally ready, it became redundant overnight, after Poland opted for full integration with the West and future NATO membership, and so the Tantal was dropped in 1994. Even over this short span of the production period, some design changes were introduced. In 1992 the metal magazine maker for Works 11, the Wifama of Łódz, went bankrupt and the Radom factory had to start making its own magazines. They were made from plastic instead of all steel. A limited run of the early Tantal models were fitted with a mounting rail on the left side of the receiver, which was meant for the NSP-3 and then for the indigenous Polish NV sight, the PCS-5 Gabro from Warsaw’s PCO company. Fitting these rails impaired the function of the fire-selector lever, which extended only 2 to 3mm past the edge of the deployed NSP-3. The stock hinge latch, which enables the folding of the stock, is placed on the left side of the stock hinge assembly and doubles as the stock retainer in both positions. One has to depress the stock latch with one hand and only then fold or open the stock. 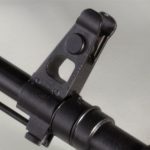 To avoid losing the receiver cover, which was common during rifle-grenade discharges, a manual latch was added to the return spring guide. Nowadays, Tantals are ancient history in the Polish army. After the modest ammunition stocks were used up, the rifles were consequently withdrawn from the units and stored. They were replaced by either AKMS or the new Beryls. The Beryls were in fact updated Tantals chambered for the 5.56x45mm. The last unit to utilize these was (until 2004) the Polish contingent of the UNIFIL, the UN peacekeeping force in Lebanon. Later on, they were mostly cut down and sold to the U.S. as parts kits, where they enjoyed enormous popularity as some of the first 5.45mm rifles relatively cheaply available in the mid-2000s. 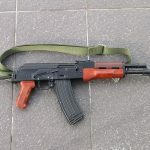 While the Tantal matured into a highly capable AK-74-style rifle, its service life was cut short due to political realities at the end of the Cold War. 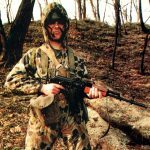 This article was originally published in a previous issue of “AK-47 & Soviet Weapons.” For more information, visit outdoorgroupstore.com.